The OGIO – Elgin Messenger Style 417016 is available in and comes in Black/Silver and Black/Signal Red. Has a padded compartment for a laptop, e-reader or tablet. 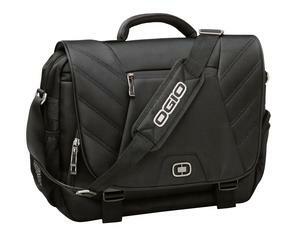 The OGIO Elign Messenger is available to purchase in Black/Silver and Black/Signal Red. Be the first to review “OGIO – Elgin Messenger Style 417016” Click here to cancel reply.